Indecent takes you behind the scenes of one of the most controversial works of the 20th Century. Written by Pulitzer Prize winner Paula Vogel (How I Learned to Drive), this startling drama centers on the New York premiere of Sholem Asch's God of Vengeance in 1923. Set in a brothel and featuring a lesbian love story, the show caused an uproar, and was almost immediately shuttered and the creators put on trial for obscenity. A witty exploration of shifting social mores and artistic expression, Indecent is a play for our time. 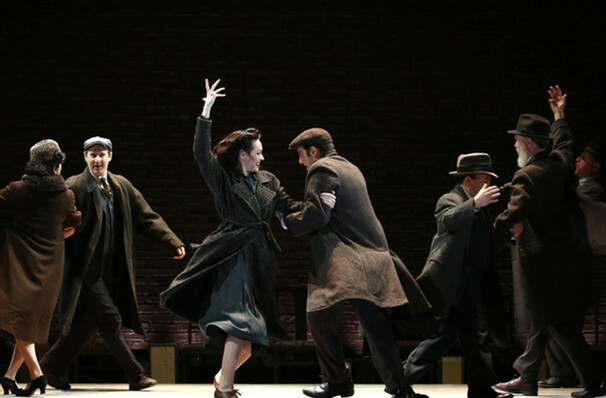 Following an acclaimed Off-Broadway run, Indecent premiered on the main stem in 2017, and won two Tony Awards, including Best Direction. Approximately one hour and 45 minutes, with no intermission. Seen Indecent? Loved it? Hated it? Sound good to you? Share this page on social media and let your friends know about Indecent at Ahmanson Theater.